Want support from Greg? Fill out the request form below to get a quote. 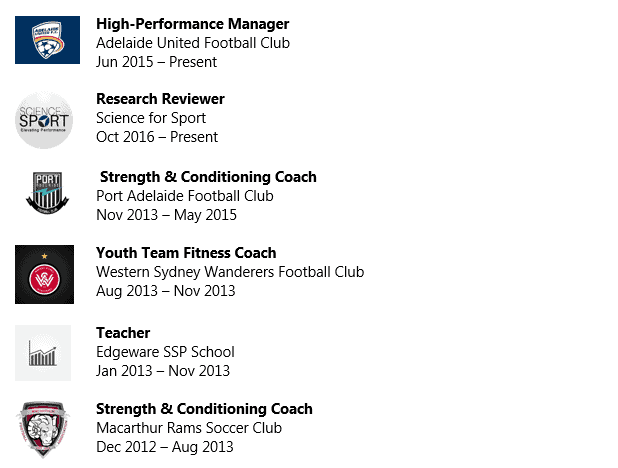 Greg is currently the High Performance Manager at Adelaide United Football Club (A-League). 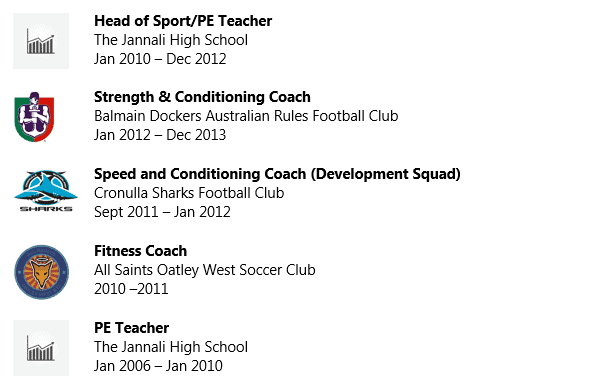 He has previously worked in the AFL with Port Adelaide Football Club as a strength and conditioning coach, and has completed a Master of Exercise Science (Strength and Conditioning) at Edith Cowan University and is also a qualified ASCA Level 2 Coach. Programme Support – Programming for physical performance and athletic development in team sports. Periodisation – Integrating optimal periodisation strategies and athletic development programs in a variety of team sport settings. Load Monitoring – Simplifying and optimising load monitoring strategies to assist in making effective decisions to enhance the training process. 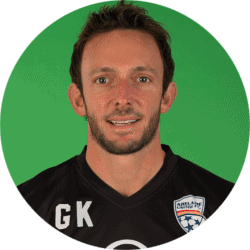 I am an extremely energetic and passionate about taking my experiences, working in high-performance sport, to a variety of sports and disciplines of all levels. Consultancy gives me the opportunity to work with like-minded, passionate people to maximize physical performance. Unfortunately, due to high-demand, Greg is not currently taking on any more clients.